Have you heard of LawnFest 2018? This event has been put together by Australian Lawn Fanatics #auslf to celebrate the glorious start to spring and raise awareness for the Empower Golf Charity. It will be hosted right here on the Go Turf Farm on 20 October! Everyone is welcome and there will be a BBQ, fun and games for the kids and loads of information, talks and offers for all lovers of turf, including stalls from Bushranger Power Equipment Australia, Waterpro, MowMaster Turf Equipment & more. Hosted by Go Turf, the event will take place at 434 Mekins Road Beerburrum, running from 9am until 1pm. Empower Golf facilitates and promotes golf for less abled Australians. Empower Golf works hard across Australia to facilitate and promote golf for Australians of all abilities by working with Golf courses and clubs, encouraging participation, host development days and tournaments. Their amazing work not only enhances physical/mental health and allows social interaction without barriers for the less able, but raises awareness of disabled sport and participation both nationally and globally. This truly Australian event will be stand out for all involved, so be sure to bring the whole family along! 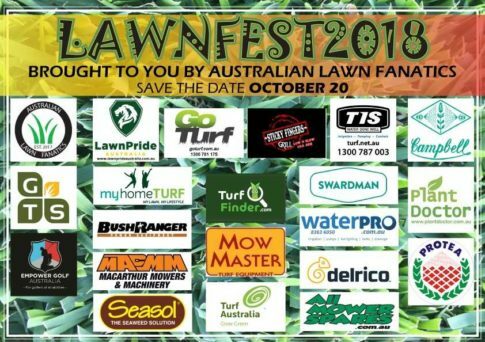 If you would like to be apart of the day feel free to message Len or Dallas through the Australian lawn Fanatics Facebook group and lets get your company on the banner.